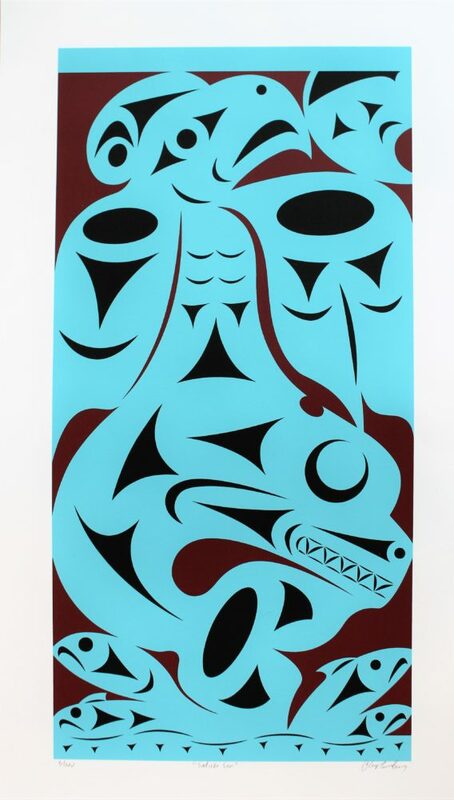 Chris is a Coast Salish artist who mixes traditional style with his own contemporary interpretations of aboriginal design. Chris produces sculptures, carvings, jewellery, original paintings and serigraphs. His sculptures are usually multifaceted in that he combines different processes and materials into one work of art. He has, for example, combined carving and sandblasting while using wood, metal, and glass. 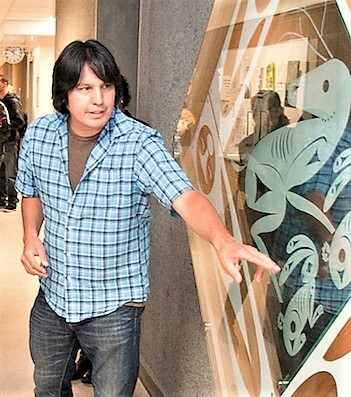 Though he was exposed to Coast Salish art throughout his childhood, it wasn’t until his late 20’s that he pursued a career as a full-time artist. He went on to study art at Ksan, a Northwest Coast art school in Hazelton, BC, and credits his time there as having given his designs more strength. This was followed by a two-year apprenticeship under renowned artist Roy Henry Vickers. Under Vickers’ tutelage, Chris developed as an artist and he emerged with a style all his own. Today, Chris gets his inspiration from every moment of every day, any of which might inspire the next piece of art.